In which I love bookish snail mail | Live to read. Read to live. Best thing since ever, am I right? I am, I’m totally right. Not always or about everything, but absolutely about this. I mean most of my snail mail is dullsville, bills and other such adult stuff about which I care not a jot but which I have to deal with because I am trying my hardest to do successful adulting. Trying my hardest but not always succeeding. ‘My head hurts. I need ibupforen and hugs,’ I wailed at my Dad recently, ‘I am not ready to self-parent,’ and because most post is telling me about money that will be leaving my bank account and thus making me sad, it feels nice when those little boxes rock up. I mean I know that money has had to leave my bank account in order for me to get said boxes, but whatever: I feel much better about spending my hard earned cash on bookish goodies than on gas and electric and council tax. It’s just the way it is. 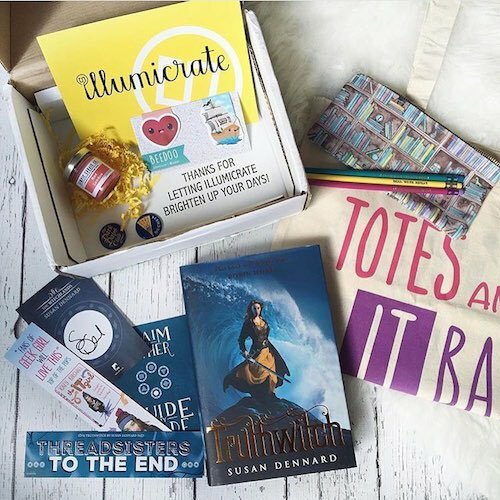 There are so many book subscription boxes out there right now and it’s pretty much impossible to hang around bookstagram and resist temptsation so I’ve tried a couple because…well because why not. LEMME TELL YOU ALL BOUT THEM. I started with TheBookish Box, which I had for 6 months as a gift subscription, and which I liked lots, mostly because of the fun themes. I mean, there was a Mean Girls box because who doesn’t need a pocket mirror saying ‘you go Glen Coco’ or a necklace declaring their hair to be full of secrets. Super apt over the summer when the humidity was real. It comes with a t-shirt also this box, which I love because I love a good slogan t-shirt. I’m all about that. It’s a good box and I’ve actually sneakily ordered the December box for myself for Christmas. Woop. 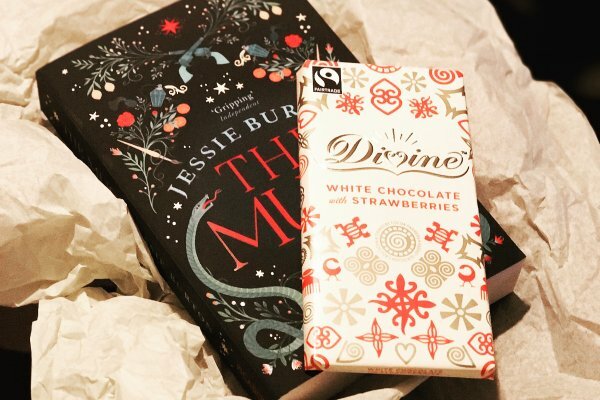 I tried Chocolate and Book which is UK based and super cute. It’s a book and a bar of chocolate, and my box also came with cookies and cream flavour tea, although I don’t know if that’s always A Thing? Anyway, the book wasn’t one I’d choose to read but the box definitely doesn’t lose points for that because I’m picky, and the chocolate was yummy. It’d make a cute little gift subscription that one, if you know a bookish someone in need of a pick me up. I’ve also had the Book Box Club box. Also lush. The box I had included a candle, a pencil case (Which I will totes put toiletries in #rebel), some jelly beans in a little jar with my name on - ain’t that the sweetest touch ever -and a cute little glasses shaped ring which matches the necklace I got in one of my Bookish Boxes so hurrah for that. And two books. One was One of Us is Lying which I loved and the other was an ARC of Juniper Lemon’s Happiness Index which I read a couple of weeks ago. This box is a good box. I liked it. I’d get it again. My favourite though is Illumicrate. It’s also UK based and is a quarterly sub. I’ve had it a couple of times now and I LOVE it. I’ve had a gorgeous swish and flick keyring which lives happily on my car keys, some gorgeous Beauty and the Beast illustrations, and a fabulous folded paper bookmark which I love. The last box, which I got last week, BLEW MY MIND, mostly because it came with an exclusive edition of Artemis. I have been so excited about the release of this book because it sounds amazing so I totally did a little happy dance about that. There was also a tea towel with a cute bookish print and a gorgeous gold foil text print which I have already put in a frame and a candle called ‘Reading in Bed’ which smells like hot chocolate (I’m going to be so ready for the next power cut) and a journal. There was an also an ARC of The City of Brass which is released next year. I LOVE THIS BOX. I also love that it’s quarterly, partly because it makes it more affordable and also partly because of the anticipation – there’s such a thing as too much of a good thing and I love that I have plenty of time to get excited about this box before it actually arrives. SO THERE YOU HAVE IT. Bookish boxes I have tried and liked. 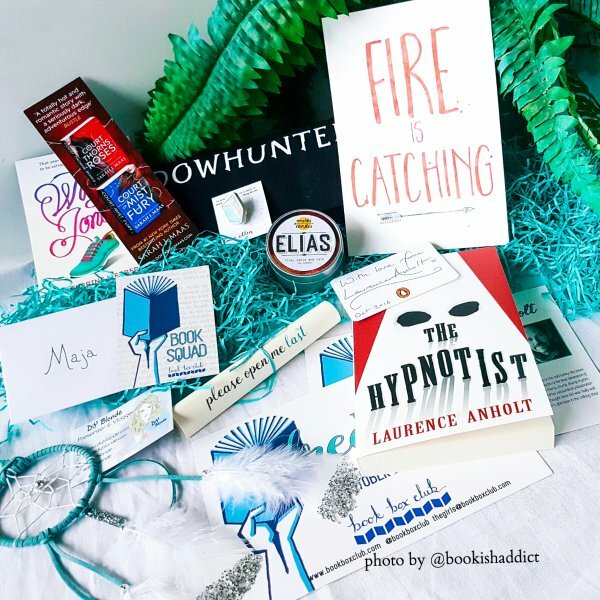 If none bookish boxes are more your thing then I cannot help much I’m afraid although I have friends that get MamaME and Birchbox and seem to like them so you know, perhaps try there.